Workers seamlessly connecting anywhere are more productive everywhere. iPass Open Mobile enables organizations to provide employees with seamless connectivity to the iPass Mobile Network, providing a consistent user experience across smartphones, tablets, and laptops, while avoiding costly roaming charges and expensive Wi-Fi day passes. Organizations gain visibility into enterprise, group, individual, and device mobility and can easily enforce expense and security policies-helping to reduce the total cost of mobility. 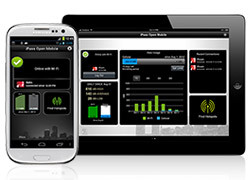 Consistent, intuitive experience for mobile workers who need to connect to Wi-Fi hotspots on the iPass Mobile Network. Provides frictionless connectivity for mobile workers on Windows and Mac across iPass, customer, and third-party networks. Provides visibility, control, and a high degree of automation for IT managers and others in managing mobility across the organization. By providing employees with a consistent, intuitive connectivity experience across the breadth of mobile networks and devices. By providing organizations a single point of control to enforce costs and compliance measures across the mobile workforce. By providing a deep level of reporting and analysis of mobile usage across all networks and devices. As a global leader and pioneer in audio communications technology, Plantronics has hundreds of employees who travel or commute daily around the world. With 80 percent of our workforce being mobile, iPass Open Mobile helps us reduce mobile data costs and supports our excellent 'smarter working' policy, enabling our employees to work from the best location to fulfill any given task by accessing the world's largest commercial Wi-Fi hotspot network. With Open Mobile, our employees stay connected globally using a single account across all devices. 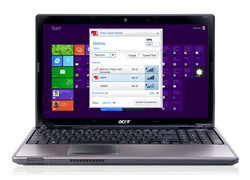 This gives them easy, anytime, anywhere productive connectivity and allows us to reduce and control mobile data costs.